Dopamine (abbreviated as DA) is a neurotransmitter, a chemical messenger that is important for many things, including movement; Parkinson’s disease, for example, is a result of lost dopamine. It was thought for a long time that dopamine was only made in the brain. New studies show, however, that dopamine appears in the spinal cord, and may be related to micturition, the medical term for urination. This link to bladder function is a new story in spinal cord injury research, with clinical potential. 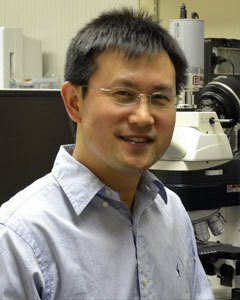 The work comes from Shaoping Hou, a scientist with Veronica Tom’s lab at Drexel. Tom is interested in the biochemistry of regeneration; in 2015 we covered a study from her lab using a three-way strategy to a) reboot axon growth programming; b) clear out spinal cord scar; and c) seed the injury site with active matrix of peripheral nerve. More recently, we looked at early data from her lab showing that blocking a specific signal molecule (cytokine soluble tumor necrosis factor α) had a dramatic effect on reducing autonomic dysreflexia, the serious blood pressure management issue common to SCI above T5. Here we show that DA is produced in the rat spinal cord and modulates the bladder reflex. These results illustrate that DA is synthesized in the rat spinal cord; plasticity of lumbosacral tyrosine hydroxylase neurons following SCI may contribute to DA expression and modulate the spinal bladder reflex. ... thus, spinally-derived DA and receptors could be a novel therapeutic target to improve micturition recovery after SCI.
. . . over a few weeks, there is usually a partial recovery of urinary function via involuntary bladder and urethral reflexes. In the present study, we observed remarkable plasticity of lumbosacral TH neurons after SCI that contributed to a low level of sustained, local spinal DA expression. Furthermore, spinal DA receptors regulating bladder reflex are active, indicating that this spinally-derived DA modulates the recovered micturition function. 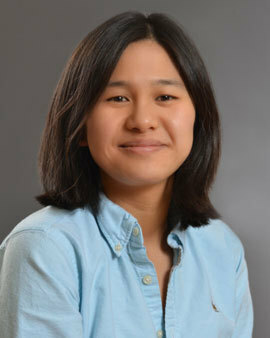 Hou and the Tom group used tools known to developmental biology to turn TH on and off, and found that DA is indeed synthesized in the spinal cord, even after SCI, and that lumbosacral TH neurons appear to be involved in spontaneously recovered bladder function. Following SCI, plasticity of lumbosacral TH neurons facilitates restoration of spinal bladder reflex pathways and appears to at least partly regulate spontaneously recovered urinary function. ... we posit that spinal TH neurons are a remnant of spinal circuits involved in pelvic visceral activity during development. In fact, we found numerous TH neurons and fibers in the autonomic region of lumbosacral cord in postnatal day 10 rats. While these neurons may not be a key part in micturition regulation in the naïve [uninjured] adult, after the SCI-induced loss of supraspinal DA-ergic [brain derived dopamine] control, they undergo plasticity and seem to play a larger role in urinary function.
. . . these experiments demonstrate that DA is synthesized in the rat spinal cord. ... We have identified that spinally-derived DA regulates a recovered bladder reflex in SCI rats. Since multiple neurotransmitters are known to help control micturition, the spinal DA circuits, alone or in combination with other neurotransmitter systems, such as glutamate and serotonin, may prove to be a therapeutic approach to improve micturition and other pelvic functions after SCI.